Hear Talib Kweli enter 'The Wormhole' on Illuminati-inspired track from forthcoming Gravitas LP - FACT Magazine: Music News, New Music. The Brooklyn rapper teases his sixth solo album. With his forthcoming LP Gravitas slated for release next month, Talib Kweli has unveiled lead track ‘The Wormhole’. Produced by Stones Throw stalwart Oh No, the jazz-inflected jam sees Kweli unpicking hip hop’s obsession with Illuminati. Kweli made an appearance on Interpol member Paul Banks’ unexpected hip hop mixtape earlier this year, while in May he released the Prisoner of Conscious LP. 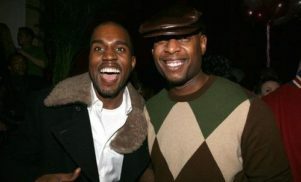 Talib Kweli to Kanye West: "Facts matter. Never Trump"